Likewise, the Producto Propio [groups] website will be able to identify all the services requested by users, so that it can facilitate or offer information appropriate to the tastes and preferences of each user. The Producto Propio [groups] website also uses Web Bugs, which are tiny, transparent images inserted into emails. When the user opens the email, this image is downloaded along with the rest of the email content and this allows us to know if a specific email has been opened, as well as the IP address from which it was downloaded. The Producto Propio [groups] website uses this information to obtain statistics and to carry out analytical studies on the receipt by users of its emails. Cookies, depending on their permanence, can be divided into session or permanent cookies. The first expire when the user closes the browser. The second expire when the purpose for which they are used is fulfilled or when they are manually deleted. Items stored in the “shopping basket” for e-commerce services such as stores. GEO-LOCATION COOKIES: These cookies are used to find out what country you are in when you request a service. This cookie is completely anonymous and is only used to help customise the content to your location. Keeping the user logged in so that if they close the service, browser or computer and re-enter that service at another time or on another day they will still be logged in, facilitating their browsing without having to log in again. This functionality can be disabled if the user clicks on the “close session” option. In this case the cookie is deleted and the next time the user enters the service they will have to log in to be identified. Checking if the user is authorised to access certain services, for example, to participate in a contest. Additionally, some services may use connections to social networks such as Facebook and Twitter. When the user registers for a service with credentials from a social network they authorise the social network to keep a permanent cookie that remembers their identity and guarantees them access to the services until it expires. The user can delete this cookie and revoke access to the services through the social networks by updating their preferences in the social network they have used. ANALYTICS COOKIES: Each time a user visits a service, a tool from an external provider (Omniture, Netscope, Comscore or similar that may be added to this list in the event that they vary from the current ones) generates an analytical cookie on the user’s computer. This cookie, which is only generated during the visit, will be used to anonymously identify the visitor in future visits to the services of Producto Propio [groups]. To allow the anonymous identification of browsing users through the cookie (identifies browsers and devices, not people) and therefore have an approximate measurement of the number of visitors and the trend over time. To anonymously identify the content most visited and therefore the most attractive to users. To identify whether the user entering the website is new or has visited before. The cookie will never be associated with any personal data that can identify the user. Such cookies will only be used for statistical purposes that help optimise the users’ experience on the website. It is normally possible to stop accepting cookies from the browser, or to stop accepting the cookies for a particular service. All modern browsers allow you to change the cookies settings. These settings are usually found in ‘Options’ or ‘Preferences’ in the menu of your browser. You can also configure your browser or your email manager, as well as install free add-ons to prevent Web Bugs from downloading when you open an email. For more information, you can consult Microsoft support or the Browser’s help. For more information, you can consult Mozilla support or the Browser’s help. For more information, you can consult Google support or the Browser’s help. For more information, you can consult Apple support or the Browser’s help. Some features of the services will be disabled such as, for example, continuing to be logged in, retaining products in the “shopping basket” for an e-commerce service, receiving information specific to your location or viewing some videos. 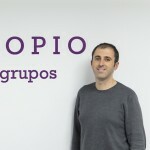 The Producto Propio [groups] website may modify this Cookies Policy in accordance with legislative requirements, regulations, or for the purpose of adapting this policy to the instructions issued by the Spanish Data Protection Agency, so it is advisable for users to visit it periodically.